UPSEE MCA 2014 Analysis – Uttar Pradesh State Entrance Examination Master of Computer Applications 2014 was held on April 27, 2014. The exam was conducted by Uttar Pradesh Technical University, Lucknow at 60 examination centres located in several cities of Uttar Pradesh and Delhi. 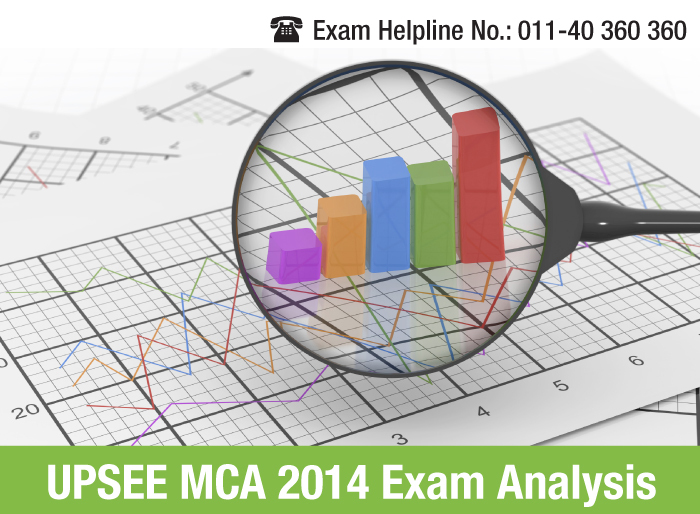 Careers360 brings you an overall look at the UPSEE MCA 2014 online examination. The article covers information the total number of registration for the academic year, test takers views on the difficulty levels of the exam and different sections of the question paper. Besides, special precautions taken by the exam conducting authority to curb impersonation activities are also included. Read below the UPSEE MCA 2014 Exam Analysis, which is based on experiences shared by test takers. For 2014, as many as 6380 candidates have registered for the state level computer applications online examination. Total number of institutes including government aided institutes and private institutions, who will accepting UPSEE MCA 2014 scores are 117. Two private institutes- Ideal Institute of Technology, Ghaziabad and IIMT Management College, Meerut have highest number of MCA seats, i.e. 180 MCA seat. Each of the three UP state universities- Dr. R.M.L. Avadh University, Faizabad, V.B.S. Purvanchal University, Jaunpur, and U.I.E.T, C.S.J.M. University, Kanpur offers admissions for 60 MCA seat. 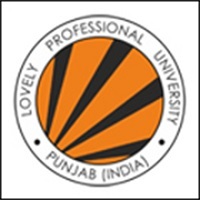 All participating institutes are affiliated to Uttar Pradesh Technical University (UPTU), Lucknow. Online examination shall be deemed to be over once candidates submit their responses. However, candidates will not be allowed to click on submit button 30 minutes prior the end of examination. For the benefit of candidates, they were allowed to practice the mock test, which was available free of cost on the official web site of UPTU. Each candidate was photographed and his/her bio metric data such as signature and thumb impression was taken at the examination center. Candidates were allowed to enter examination hall after the completion of the above said formalities. Nearly 500 candidates, reported to Nodal Centre in the City of Examination for issuance of duplicate admit card. As their photograph/signature printed on their admit card was found blurred. All such candidates were required to bring a copy of downloaded admit card along with a copy of confirmation page, Six copies of their recent color photographs and at least one photo identity proof such as Aadhar Card, Driving License, School Identity Card, Voter ID Card etc. The exam was conducted in online mode on April 27, 2014. Time duration of the test was 2 hours. The question paper of UPSEE MCA 2014 carried 100 multiple choice questions (MCQs). Each question was allotted four marks. Maximum numbers of questions were asked from Mathematics subject. Negative marking is not applicable. But, marking more than one answer for a question will be treated as an incorrect answer. Ritesh Singh: a test taker from Gorakhpur shared similar response. For him also Mathematics was the toughest section. However he told that nearly 40-45 questions were attempted by him for which he managed time quite easily. The exam conducting authority UPTU will be release UPSEE MCA answer key along with result declaration, which will be declared on or before May 20, 2014. Qualifying candidates, depending on their score/merit will be offered admissions for MCA course by one or more of the UPSEE MCA Participating Institutes located in Uttar Pradesh state. Post result declaration, UPSEE MCA 2014 Counselling Process will tentatively start in last week of May 2014. Know your expected UPSEE MCA 2014 rank before the result declaration of UPSEE 2014.Try UPSEE 2014 MCA Rank Predictor launched by Careers360. I am getting 136 marks in upsee 2019 which college would i get ?? im getting 184/600 category-OBC is this sufficient to get admission in some decent college? Hello Filojam,You can expect call from Tier 3 colleges. Sir,if I am getting 268 marks in upsee exam .Am I eligible to get government college for b.pharma? Sir..is there any private college which can give me admission on my upsee marks ?112/600? Sir is there any chances of getting any other college in upsee ..? I have got 112/600 ?